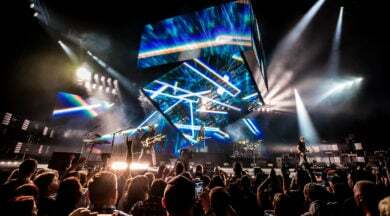 The Lenny Kravitz 2018 Raise Vibration tour, in support of his new album of the same name, kicked off earlier this year in Mexico City. 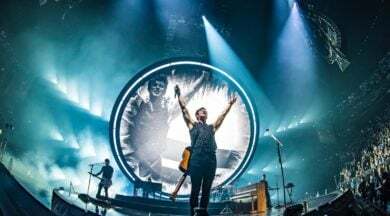 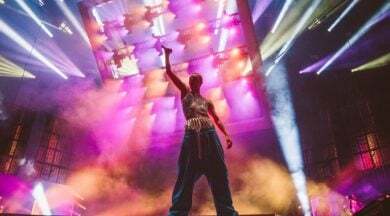 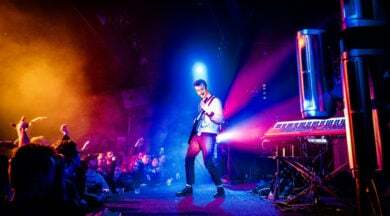 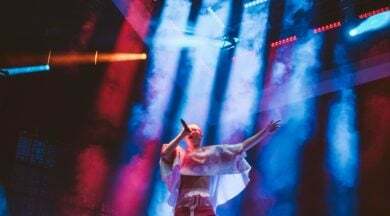 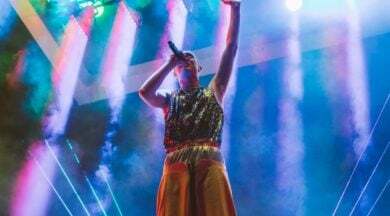 The long-awaited tour from singer, songwriter, producer, multi-instrumentalist and actor, and all -round talented rock and soul singer, has created a lot of excitement around the world. 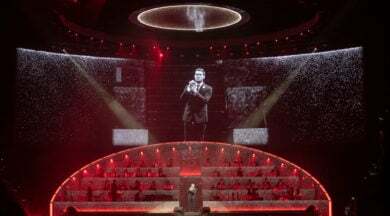 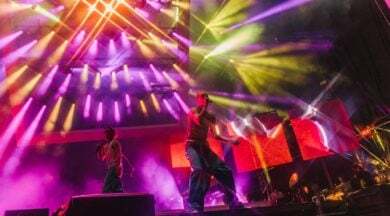 The stage show is a large and lively affair with lighting designer, Leroy Bennett, incorporating 224 of Ayrton’s MagicDot™XT fixtures into his multi-layered design. 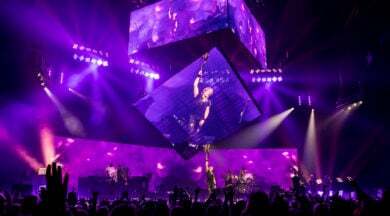 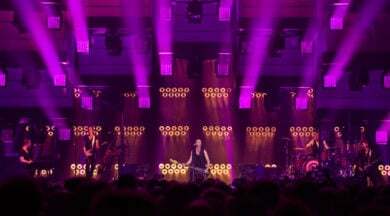 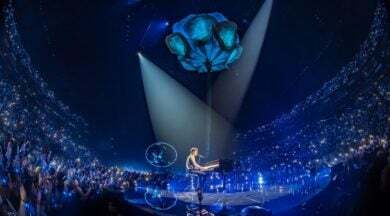 The main set changes at different venues, but the backdrop setting and lighting design stays the same and consists of fourteen diamond-shaped pods with 16 MagicDot-XT fixtures tightly packed into each one, with just a 250mm offset between each fixture within each matrix. 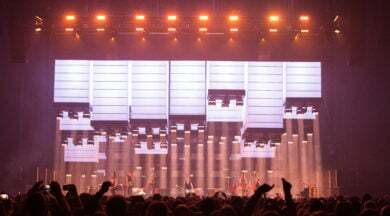 The pods are rigged in two rows of 7 and partially concealed behind a massive louvre blind back wall. 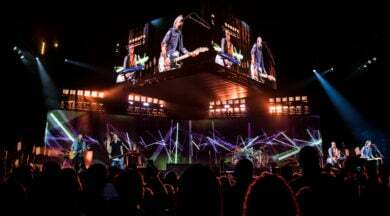 Throughout the shows, which are mostly held in large arenas, the MagicDot-XT fixtures have demonstrated their incredibly versatility. 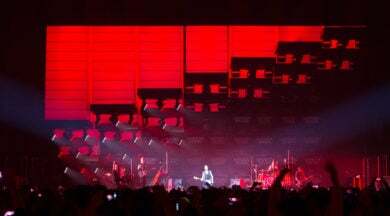 At times they can be seen twinkling through the louvre slats, refracting the light to create a tender mood or, when used with full-on intensity, drenching the louvres with saturated colour. 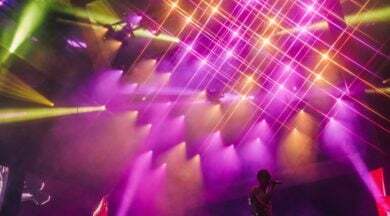 MagicDot-XT’s high output and 2° beam can be used to create different patterns in light, with Bennett making the most out of the diamond formation in particular which is used to fabulous effect: sometimes it appears as a single solitary shape, or with several of them featured across the pods to resemble windows in a cathedral, with luminous shafts of sunlight beaming down onto the stage and performers. 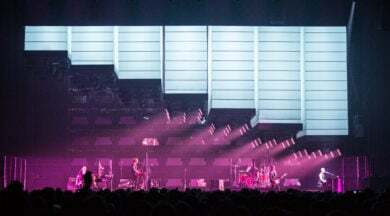 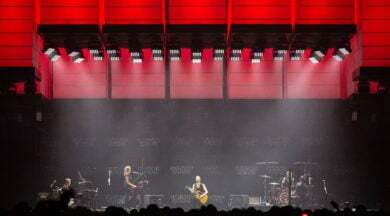 The fixtures are also used individually, sometimes partially obscured as a large light source behind the louvre slats, creating different a different mood for every song. 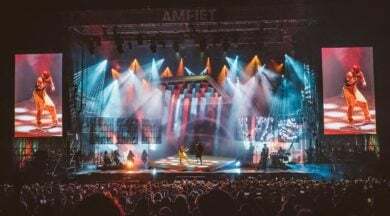 “The MagicDots were the main effect lights of the rig,” confirms Bennett’s lighting associate and programmer, Harry Forster, “partly due to the design and partly due to the versatility of the product. 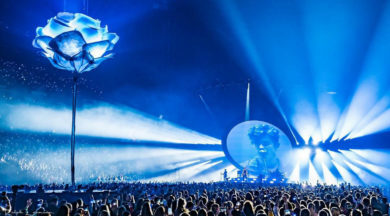 MagicDot-XT sports all the same features as the original MagicDot-R, including ultra rapid movement and continuous, unlimited rotation on pan and tilt, but with larger optics and a narrower 2° beam. 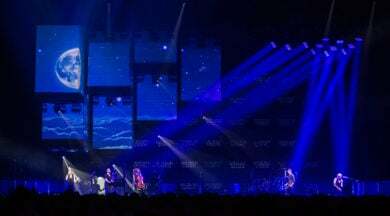 The compact footprint permits multiple fixtures to be installed with a minimum amount of space between them, while its ultra-tight, fat beam is impressive over distances and can generate the sharpest of light curtain effects. 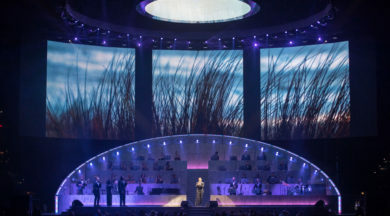 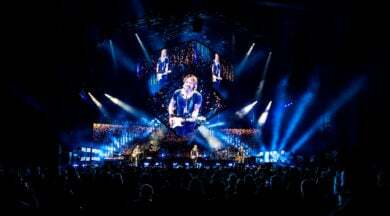 The fixtures were supplied by PRG for the global tour. 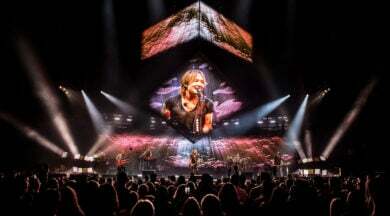 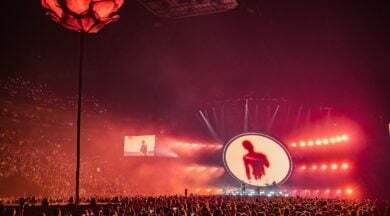 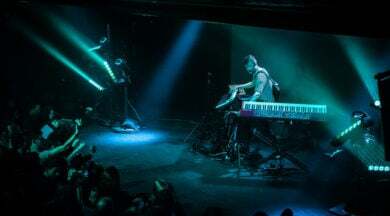 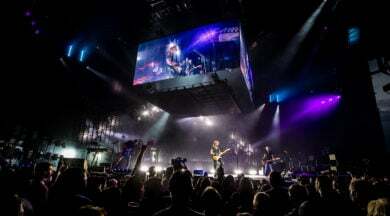 The tour which included the UK and mainland Europe continues in the US taking in Atlanta, Louisville, Washington, New York, Broomfield, and on to San Francisco in October and Las Vegas, before finishing up in Los Angeles. 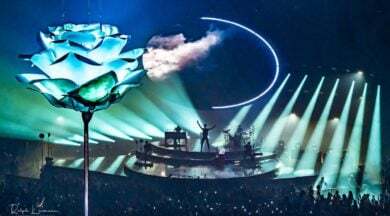 It seems that not only have vibrations been raised by this outstanding tour, with Kravitz having already sold over 12,000 traditional albums so far.